THIS IS A NEW NOVEL BY CATHERINE MARCHANT, ENGLAND’S GREATEST WRITER OF GOTHIC MYSTERIES. IT HAS NEVER BEEN PUBLISHED ANYWHERE BEFORE. Prudence Dudley sought solitude in which to recover from the ache of a lover’s betrayal. 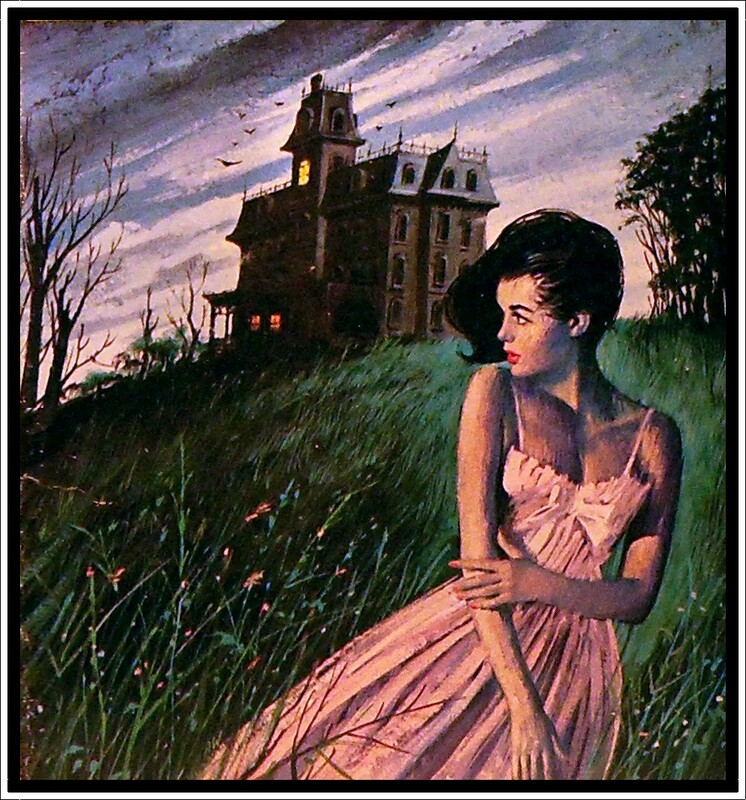 She found an oddly isolated house in which bitter secrets lurked and sinister tensions lay buried just beneath the surface. She tried to avoid becoming involved, but she was drawn deeper and deeper into the whirlpool of emotion. 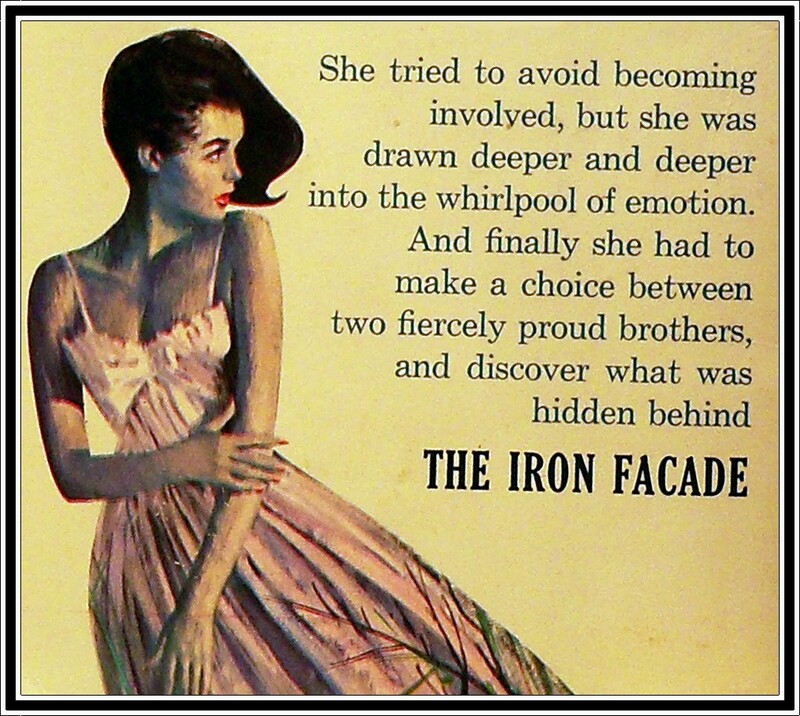 And finally she had to make a choice between two fiercely proud brothers, and discover what was hidden behind THE IRON FACADE. Written by Catherine Marchant. Lancer Books 1965. I’ve not read this one yet but thought I’d post it anyway since I really like the cover art and it seems a suitably storm-tossed one to usher in the Autumn with. 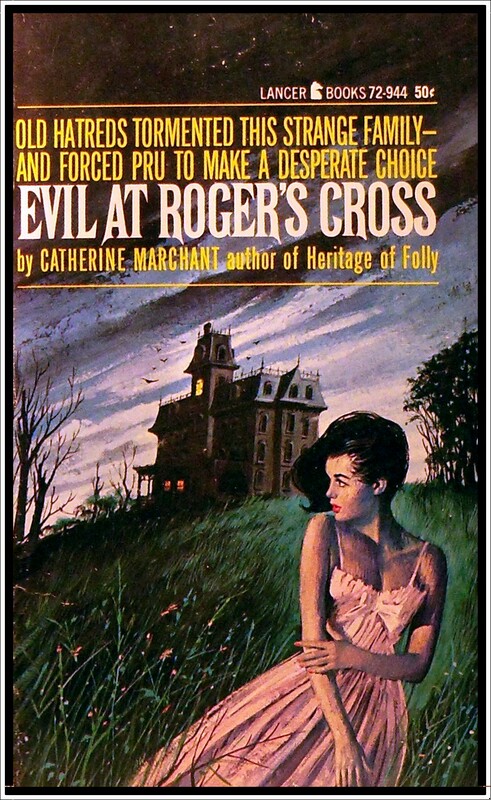 Evil at Roger’s Cross has also been published under the title of The Iron Façade and Catherine Marchant is a pseudonym used by the multi-million selling writer Catherine Cookson – one of the UK’s most widely read novelists, with sales topping 100 million. Don’t let this disturb you unduly, Pru. Yet I felt I ought to warn you.